Identification. Scandinavian sailors discovered Iceland in the mid-ninth century, and the first settler recognized in the literary-historical tradition, Ingólfur Arnason, arrived in 874. The book of settlements ( Landnámabók ), which contains information on four hundred settlers, was compiled in the twelfth century. The story set down there and repeated to this day is that a Norse Viking named Flóki sailed to Iceland, but spent so much energy hunting and fishing that he did not lay up hay for his livestock, which died in the winter, and had to return. He then gave the island its unpromising name. Among the settlers and the slaves the Scandinavians brought were people of Irish as well as Norse descent; Icelanders still debate the relative weight of the Norse and Irish contributions to their culture and biology. Some date a distinctive sense of "Icelandicness" to the writing of the First Grammatical Treatise in the twelfth century. The first document was a recording of laws in 1117. Many copies and versions of legal books were produced. Compilations of law were called Grágas ("gray goose" or "wild goose"). In 930, a General Assembly was established, and in 1000, Iceland became Christian by a decision of the General Assembly. In 1262–1264, Iceland was incorporated into Norway; in 1380, when Norway came under Danish rule, Iceland went along; and on 17 June 1944, Iceland became an independent republic, though it had gained sovereignty in 1918 and had been largely autonomous since 1904. The sense of Iceland as a separate state with a separate identity dates from the nineteenth-century nationalist movement. According to the ideology of that movement, all Icelanders share a common heritage and identity, though some argue that economic stratification has resulted in divergent identities and language usage. Location and Geography. Iceland is an island in the north Atlantic Ocean between Greenland and Norway just south of the Arctic Circle. It covers 63,860 square miles (103,000 square kilometers), of which about 620 are cultivated, 12,400 are used for grazing, 7,500 are covered by glaciers, 1,900 are covered by lakes, and 41,500 are covered by lava, sands, and other wastelands. The Gulf Stream moderates the climate. The capital is Reykjavík. Demography. In 1993, the population was 264,922. In 1703, when the first census was done, the population was 50,358. In 1992, there were 63,540 families that averaged three members. In 1993, the population of the capital area was 154,268. Linguistic Affiliation. Icelandic is a Germanic language related to Norwegian. Medieval Icelandic, the language of the historical-literary tradition, sometimes is called Old Norse. Icelandic has been said to be virtually unaltered since medieval times, although many Icelanders disagree. There are no family names. Everyone has one or two names and is referred to as the son or daughter of his or her father. Thus, everyone has a patronymic, or father's name. Directories are organized alphabetically by first name. There is some debate about the uniformity of the language. Purists of the nationalist-oriented independence tradition insist that there is no variation in Icelandic, but linguistic studies suggest variation by class. While all the people speak Icelandic, most also speak Danish and English. settler is in the downtown area of the capital. The nationalist-oriented ideology stresses identification with medieval culture and times while downplaying slavery and later exploitative relations of the aristocracy and commoners. This romantic view of the saga tradition informs nationalist symbolism and nationalist-influenced folklore. There is a whole genre of romantic landscape poetry depicting the beauty of the island. Some of it goes back to the saga tradition, quoting Gunnar, a hero of Njal's saga, who refused to depart after being outlawed because as he looked over his shoulder when his horse stumbled, the fields were so beautiful that he could not bear to leave. More recently, rhetoric about whaling has achieved symbolic proportions as some have viewed attempts to curtail the national tradition of whale hunting as an infringement on their independence. Independence Day on 17 June is celebrated in Reykjavík. Neighborhood bands march into the downtown area playing songs, and many people drink alcoholic beverages. The major symbols of Icelandicness are the language and geography, centered on the beauty of the landscape. Many people know the names of the farms of their ancestors and can name fjords and hills, and the map in the civic center in Reykjavík has no place names because it is assumed that people know them. The folkloristic tradition contains many stories of trolls, among them the ones that come from the wastelands to eat children at Christmas and their twelve sons who play pranks on people. Various features of landscape are associated with stories recorded in the official folklore. Swimmers bathe in the Blue Lagoon thermal baths in Iceland. restricted imports and kept fishing under its control. A farming elite developed a system of self-contained farms and opposed the development of fishing, which would threaten the supply of cheap labor if relied on. After independence, fishing finally developed. The trade monopoly organized Iceland as a tributary state for mercantile purposes and created a class of farmers with entrenched interests and power to defend them against the fisheries. The trade monopoly created the autonomous Icelandic farm as the primary social, economic, and political unit. When the tributary system became a hindrance to organizing for capitalism, the elite engineered backwardness to serve its interests. This backwardness was not a local dynamic and was not culturally determined but served a large international Danish system. When Denmark's absolute monarchy was replaced by a nation-state, this provided a context for Icelandic independence. Although farmers tried to perpetuate their hold over the economy, industrial fishing became the backbone of the national economy. The "independence struggle" started in the mid-nineteenth century. Nationalist ideology presents the movement as an autonomous great awakening. In the service of the independence movement, the elite developed distinctive images of what it meant to be Icelandic, aided by historians and legalists, folklorists, and linguists. These images described an ideal lifestyle of an elite. Danes thought Icelandic culture embodied the most noble elements in the Norse experience and looked to Iceland for inspiration. Thus, Icelandic leaders could argue that the nation's future should match the glories of its past. Icelandic students in Denmark began to import ideas of nationalism and romanticism. The Icelandic elite followed the Danes in identifying with a romantic image of a glorious Icelandic past. As the Danes began to modernize and develop, they set the conditions for Icelandic independence. Finally it was conditions beyond Danish control—when Denmark was occupied by Germany in World War II, followed by the occupation of Iceland by British and then American troops— that pushed Iceland into independence. Given independence and population growth, along with new sources of outside capital, the government focused on the development of industrial fishing and the infrastructure to support it. National Identity. The working class identified with national political movements and parties and thus helped ratify the elite's vision of Iceland. The ideology developed by members of the farming elite was one of the individual, the holiness and purity of the countryside, and the moral primacy of the farm and farmers. The most significant individuals were the farmers. This ideology was perpetuated in academic writings, schools, and law. Foreign scholars and anthropologists, along with local folklorists, created a bureaucratic folklorism that considered the intellectual superior to the rural people and the rural people as the most superior of all exotics. Such constructs could not be perpetuated as most people abandoned the countryside in favor of fishing villages and wage work or salaried positions in Reykjavík. Icelanders generalized and democratized the concept of the elite and combined it with competitive consumerism. This led to a new cultural context that weakened the ideology of the farmer elite. The main ideological task of the independence movement was to develop a paradigm that would prove that the nationalistic power struggle would change the lives of ordinary people. The past and the countryside were emphasized as pure, while working people in the cities were considered trash. The folklore movement displaced discussions of competition for power to earlier times and reduced diversity to uniformity in service of the state. As the population grew and the economy turned more toward fishing in the coastal towns and villages, farmers lost their economic place. The main goal of the nationalist ideology that the elite promulgated was to conserve the old order. The glory of the sagas was held up as a model, and certain celebrations were revived to emphasize the connection. However, today most Icelanders live in the area of the capital, and their culture is international. In 1991, there were 4,754 farms. More than half the people (154,268) live in the Reykjavík area. The next largest town is Akurery, with a population of 14,799. Keflavík, where the NATO base and the international airport are, has a population of 7,581. The Westman Islands are home to 4,883 people. The realities of daily life for most people are urban and industrial or bureaucratic. Until recently, social life was centered on households and there was little public life in restaurants, cafés, or bars. There is a thriving consumer economy. People are guaranteed the right to work, health care, housing, retirement, and education. Thus, there is no particular need to save. People therefore purchase homes, country houses, cars, and consumer goods to stock them. Private consumption in 1993 reached $10,600 per capita. Food in Daily Life. The writer Halldor Laxness once observed that "life is salt fish." During some of the events inspired by the romantic folkloric revival, people consume brennivín, an alcoholic beverage called "black death," along with fermented shark meat and smoked lamb, which is served at festive occasions. Icelanders are famous for the amount of coffee they drink and the amount of sugar they consume. Food Customs at Ceremonial Occasions. For homecomings and family gatherings, there is usually a sumptuous spread of cakes and pastries, including crullers and thin pancakes rolled around whipped cream. Basic Economy. The major occupations in 1991 were agriculture, fishing, and fish processing. The main industries were building, commerce, transportation and communications, finance and insurance, and the public sector. Fish and fish products are the major export item. While dairy products and meat are locally produced, grain products are imported. Some vegetables are produced in greenhouses, and some potatoes are locally produced. Other food is imported, along with many consumer goods. In 1993, consumer goods accounted for 37.2 percent of imports, intermediate goods 28 percent, fuels 8 percent, and investment goods 25.8 percent. Classes and Castes. There is a lack of extreme stratification in a country that values egalitarian relationships. Working-class people are likely to indicate their class status by language use, incorporating into their speech what purists call "language diseases." Flowers adorn a public square. Icelanders take extreme care in the upkeep of public areas. have more to do with policies and positions on issues than with personalities. Leadership and Political Officials. After elections, the president asks one party, usually the one with the largest number of votes, to form a government of cabinet officers. There has never been a majority in the parliament, and so the governments are coalitions. The real political competition starts after elections, when those elected to the parliament jockey for positions in the new government. If the first party cannot form a coalition, the president will ask another one until a coalition government is formed. Cabinet ministers can sit in the parliament but may not vote unless they have been elected as members. This cabinet stays in power until another government is formed or until there are new elections. The president and the Althingi share legislative power because the president must approve all the legislation the parliament passes. In practice, this is largely a ritual act, and even a delay in signing legislation is cause for public comment. Constitutionally, the president holds executive power, but the cabinet ministers, who are responsible to the Althingi , exercise the power of their various offices. The parliament controls national finances, taxation, and financial allocations and appoints members to committees and executive bodies. There is an autonomous judicial branch. The voting age is 18, and about 87.4 percent of the people vote. The major parties include the Independence Party, Progressive Party, People's Alliance, Social Democrats, Women's Party, and Citizens/ Liberal Party. Each party controls a newspaper to spread and propagate its views. The mode of interaction with political officials is informal. Social Problems and Control. There are few social problems, and crime is minimal. There is some domestic abuse and alcoholism. The unemployment rate is very low. Police routinely stop drivers to check for drunkenness, and violators have to serve jail time, often after waiting for a space in the jail to become available. There are no military forces. Since independence, there has been a high standard of living. From 1901 to 1960, real national income rose tenfold, with an annual average growth rate over 4 percent. This was the period in which the national economy was transformed from a rural economy based on independent farms to a capitalist fishing economy with attendant urbanization. The Relative Status of Women and Men. There is more gender equality than there is in many other countries. The open nature of the political system allows interested women to organize as a political party to pursue their interests in the parliament. There are women clergy. Fishing is largely in the hands of men, while women are more prominent in fish processing. Marriage. There is a relative lack of formal marriage, and out-of-wedlock births (13 to 36 percent) have never been stigmatized. Women frequently have a child before they marry. Many people are related to numerous half siblings from their parents' other children by other mates. Domestic Unit. The domestic unit is the household, and larger kin groups come together for annual reunions. Friendship and other connections are very important, and many people who are referred to by kin terms are not genealogically related. Infant Care. Infants are isolated in carriages and cribs, not continuously held. Public health nurses check on newborns to be sure they are on the growth curves and check for signs of neglect, abuse, or disease. Since both men and women usually work, it is common for children to be kept in day care centers from an early age. Child Rearing and Education. Children are centers of attention, and classes are given on child rearing and parenting. Thus, even teenagers are familiar with approved methods of child rearing. Education is respected and considered a basic right. University education is available to all who want it and can afford minimal registration fees. Education is compulsory between ages 7 and 16 but may be continued in middle schools or high schools, many of which are boarding schools. Higher Education. A theological seminary was founded in 1847, followed by a medical school in 1876 and a law school in 1908; these three schools were merged in 1911 to form the University of Iceland. A faculty of philosophy was added to deal with matters of ideology (philology, history, and literature). Later, faculties of engineering and social sciences were added. Social interaction is egalitarian. Public comportment is quiet and reserved. Icelandic fishermen provide the key ingredient for one of the country's main exports, fish and fish products. is an important ritual for adolescents, but many who are confirmed are not active. Universal medical care is provided as a right. There is a modern medical system. Most holidays are associated with the Christian religious calendar. Others include the first day of summer on a Thursday from 19 to 25 April, Labor Day on 1 May, National Day on 17 June, and Commerce Day on the first Monday of August. These holidays are observed by having a day off from work and possibly traveling to the family summer house for a brief vacation. Support for the Arts. There is an art museum in Reykjavík, and several artists have achieved the status of "state artists" with government-funded studios, which become public museums after their deaths. There is a theater community in Reykjavík. Literature has a long history. The University of Iceland is the center for scientific research. There is much work on geothermal energy sources. The National Science Foundation funds research, and Iceland belongs to international federations for the support of physical and social science research. There is a faculty of engineering and a faculty of social science at the university. Durrenberger, E. Paul. 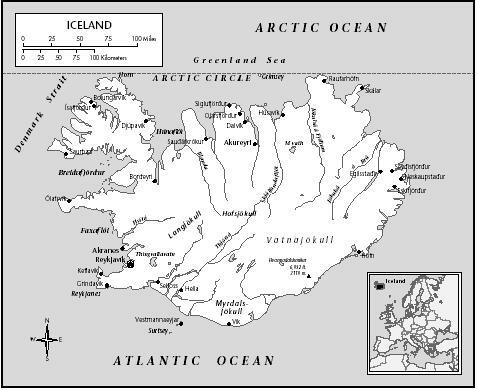 The Dynamics of Medieval Iceland: Political Economy and Literature . University of Iowa Press, 1992. ——. Icelandic Essays: Explorations in the Anthropology of a Modern Nation , 1995. —— and Gísli Pálsson. The Anthropology of Iceland ,1989. Pálsson, Gísli. 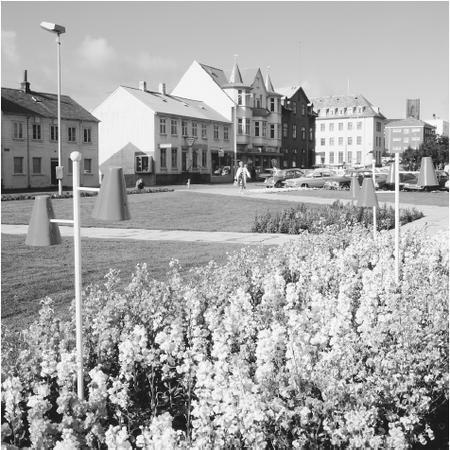 Coastal Economies, Cultural Accounts: Human Ecology and Icelandic Discourse , 1990. ——. The Textual Life of Savants: Ethnography, Iceland, and the Linguistic Turn , 1995. —— and E. Paul Durrenberger. 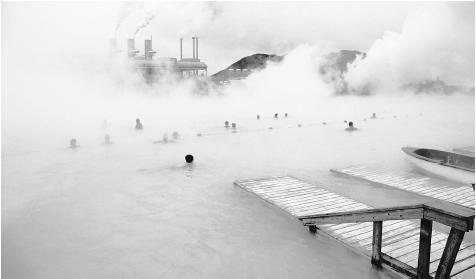 Images of Contemporary Iceland: Everyday Lives and Global Contexts , 1996. I would like to say that this website/article has helped me alot. I have a report assignment in my college business course and so far this page has given me alot of information and insite for the rest of my paper. I lived in Keflavik, Iceland for 3 years while serving in the navy. Of all the countries I have been to this by far is the best. The people are great and to lear about their culture was the greatest thing I have done. This website is right one. Thank you. this page is a great source of information! I'm a high school senior and I went through a bunch of useless pages before finding this one. It has all the information I needed, thanks for the plethera of knowledge! thanks for this site!!!! it helped a lot with my double brochure (ick) and im just hating sixth grade here in iceland yea yea i know what your thinking but i don't know everything!!! ...Fascinating synopsis about Iceland; little is known about there. One question that I have, some "Icelanders" appear to have Inuit/Eskimo physical characteristics, especially with their sloping eyes. Did the Danes or Norse ever supplant Inuit/Eskimos that are/were from Greenland and the North American continent during any voyages? this website has helped me alot. of my information on this website. VERY GOOD INFO FOR A REPORT THANK YOU! I LOVE ICELAND ITS SO SMALL!!!!!!!!!!!!!!!!!!!!!!!!!!!!!!!!!!!!!!!!!!!!!!!!!!!!!!!!!!!!!!!!!!!!!!!!!!!!!!!!!!!!!!!!!!!!!!!!!!!!!!!!!! No, Icelanders are not in any way Inuit, Eskimo or any other similar "slopy eye race" as you mentioned it. Icelanders are descendants of mostly Norse farmers from Western Norway, fleeing the rule of Harald Hårfagre in the 10th century, the first king of Norway. The Norse also brought with them Gaelic, Celtic slaves from the British isles, mostly Irish or Scottish. That makes ethnic Icelanders as a race, in no way related to Inuits, and makes them genetically related to the Faroese, Norwegians, Scots, the Irish, Danes, Swedes along with any Germanic nation. This website was so helpful because i am also doing a report on iceland about the five themes of geography. It really helped a lot! thanks this helped with mi report and there was more than enough info thanks. im moving to iceland. im falling in love with the country the more, i research. OMG! Thank you thank you thank you! This website was SO useful! I have to do a whole powerpoint with all the features of geography on Iceland and this was the best source of culure I have found in days; it includes more than enough info! I am doing a project on the culture iceland and have found this website very helpful over all others. I am actually very interested in this culture, and plan on visiting. Thank you so much. Do you know anything about how handball is correlated with icelandic culture? Iceland is a very interesting place. I was surprised that it doesn't get real cold up there. I think the coldest it got in Keflavik in the year I was tchere was 18 deg F. But windy... wow. I liked watching the sea gulls hovering over the dumpster. Well, they weren't really hovering, they were flying into the wind. Funny. 50 - 60 mph winds were common. When it snowed, usually a very wet snow because it wouldn't get very cold. The windward side of the buildings would get a five-foot thick coat of snow. The next couple of days it would melt, then start all over again. The Icelanders are generally nice, but you could run into some people who just didn't like Amerians. Blame it on politics. The cold war was in full swing in the early eighties. Iceland, being in the middle of the North Atlantic ocean, was extremely important to both sides. Bear bombers would frequently come close to violating Icelandic air space, and sometimes would violate it. The Air Force was scrambling F-4s to meet 'em frequently. The Navy's main job up there was chasing Soviet subs. With planes. Keflavik had no ships. The big Navy E=3C's would drop sonobouys into the sea and the sonobouys would transmit data back to the plane for analysis. They probably did other things, too. Who knows. The Navy does some stuff you wouldn't believe. That's for another post in another forum. At any rate, it was a fantastic year. Don't get me started on the Northern Lights. Holy cow. Or the hot springs. Or the beautiful women. If you get a chance, take a trip there. If you go in the winter, air fares and hotels are probably still super cheap. Go in the winter, rent a four wheel drive SUV, and you'll have a blast. my class had to do a project on iceland. my friend and i have both used this website and it has helped us so much! There is a statue of a man standing and holding a candle in one hand and an open book in the other somewhere is Iceland. A visitor took a picture of it and does not know what it is there for. Can someone explain what it's about? this article is pretty good i got an A+ on my product. My wife and I spent 3 weeks in Iceland. Fantastic place but the SAGAS were great listening to (Najarl's Saga)and others.I found these beautiful people relaxed and well educated and proud of their Norse Heritage.Do not forget visiting Tingvillar; looking east across the land below toward the small church ,think about seeing these cheiftians and others solving their social problems.Women have equal rights in Iceland, ask them! im in 6 grade and we had to choose a country for a prodject in Social Studies. im really glad i chose Iceland. btw, its due tomorrow. wish me luck! Does icelanders welcome blacks especially those from africa? And if they do I'll like to know how warm or cold their welcome towards black will be. Moreover, I have in mind to go over to iceland for studies as well as to move on with my football carears. How can I achieve this been a black guy from africa. I am writing a book in which Celtic peoples explored the west coast of North America, but first they visited Iceland, and them came through the Arctic to arrive on the west coast of the USA. Me and my friend are doing an extra credit for our science class on you wonderful country of Iceland. This site has been very helpful. We have all of our information! This was great. I'm headed there in May and would love to experience a home cooked family meal or a wedding or celebration of sorts. Any suggestions? I am doing a research report for social studies. This is one of the best website yet! I'm in 7th grade and in social studies we are making postcards as if we were in a European country. I chose Ice land and this website really did help me. If you are reading this you should read this article, I recommend it. Thanks! I'm in 8th grade and doing a Social culture fair. So helpful! Research has now shown that nearly two-thirds of Icelandic female mtdna is from Celtic/Gaelic origin. Around 20& of males also had Gaelic origin shown on their y chromosomes. So the original settlers were made up of males who were predominantly (but not exclusively) of norse origins and females who were predominantly (but not exclusively) of Gaelic/Celtic origin. I think I read somewhere that mtdna inheritance doesn't show up in a person's appearance. Hi this pg really helped on my community project brochure and with this info I was done in what 1 hour btw i'm in 6th grade and Iceland really does rock! It was really helpful Thanks! 1. We eat ice cream year round. Well of course we do! Who doesn't? 2. We can not park cars correctly for anything. We are all used to having so much space and most people have large cars, so when we have to park in, say, a parking space, it is very difficult. We do actually have an Icelandic Facebook page for the worst parked car of the day. It's great. Eurovision is a song contest between European countries. We each chose a singer with their own song to perform at Eurovision. Iceland has the best songs every year they've participated. (I am quite biased, but it's true.) The winner of Eurovision will host the next one. Example: Denmark won 2013 with Only Teardrops (which was good, but Ég Á Líf was better! ), so they hosted this year's Eurovision; it was in Copenhagen. This year our song was Enga Fordóma (English version: No Prejudice). We have our songs in Icelandic, but mostly (recently at least, not including Ég Á Líf) we officially perform in the contest with an English version. 4. Relating to Eurovision, who is Sjonni Brink and why to people tear up when you mention him? Sjonni Brink was a talented young Icelandic artist, well loved by his country. His song Aftur Heim was chosen for Eurovision 2011, but he had a stroke and died 17 January, 2011 before he could perform his song. He was so young and he had such a great life to live, it was tragic. We weren't about to go back on the song though, it was beautiful, so the English version, Coming Home was sung by Sjonni's Friends. All of his friends came together and now they're a band. That song can still make me cry, the death of Sigurjón Brink (more commonly known as Sjonni) was extremely... I can not find words in English. 5. How do you pronounce ð and æ and þ? They actually have equivalent sounds in English; they are quite easy really. 'ð' (capital looks like Ð, but it is never at the beginning of a word) is like a voiced 'th', as in the. 'þ' is an unvoiced 'th', lke in thin. And 'æ' is pronounced kinda like the i in mile. I hope I was helpful. I find it fun to go on my friend's computer when I'm visiting her in America and read about what American think of my country. Also, come to Iceland! It's beautiful and you don't have to speak Icelandic. Most Icelanders speak Icelandic, English, Danish, and often Norwegian. Norwegian is so similar to Danish, though, that it's hardly fair to call them completely separate. I guess they are the language equivalent of being married. It's almost a little language family al it's own. Norsk Bokmål is often called Dano-Norwegian, it's like a cross between Norsk Nynorsk and Dansk. Oh, well. Bless bless! Great information on this page. I will say I love Icelandic football(american soccer). My favorite team is IBV vestmannaeyjar. I would love to visit, possibly live there someday. Is life on that island different from the mainland? What is retirement like in Iceland for the elderly? Well I have to say, this page is alright. a little bigger font and a little more organized. I could hardly read it! Well, Merry Christmas everyone! Yay! Now I can finish my midterms. Thank you for this webpage! Thank you for the Webpage. I am having a ethnic food dinner part tomorrow and wanted some general info on Iceland. My Grandmother came to America from Iceland when she was 14 years old. She left us with some history although there is so much we don't know. Your Website helped. Thanks! My maternal great grandmother came to America from Iceland, she married my great grandfather who came to America from Cuba or Jamaica. I was wondering if there is a way to find information on my ancestry in Iceland. Hi Rebekah. Iceland calling. If you want I can look for your great grandmother on Iceland´s ancestry site. I loved the seafood there, particularly that which you call scamp , but which we call langostine, and the haddock. The NCO Club had an all-you-can-eat fish fry which made me love fish. The dairy products were also wonderful, so rich and delicious. And the pastries! I couldn't find better in Copenhagen or Vienna. I keep playing the Lottery in the hope that I will be able to return for the 'Light Nights' presentation in the mid-summer and again in October/November for the Aurora Borealis. One night, in October, I came out of the dorm, and the sky was ablaze with curtains and spikes and balls of lights, covering the entire range of the visual spectrum. Driving out to the radar site (anyone out there remember it?) to work, I nearly ran off the road several times because I kept sticking head out the window to watch the lights. 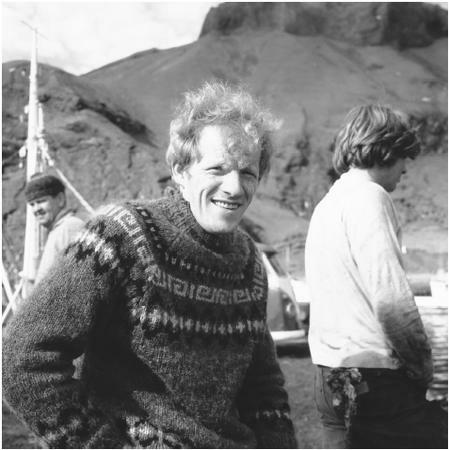 I was there from January 1975 to July 1976 and while there, was a witness to the Iceland/England Cod War. I heard a lot of rumors about what was going on, but never really knew what was happening. I heard, for example, that England sank one of only 6 Icelandic Coast Guard Cutters, and that Iceland was demanding that the U.S. provide ships and weapons... I hope it all worked out amicably. All in all, the time I spent there was wonderful, and I will carry those happy memories forever. Thank you all for being so amazing, and often mistaking me for an Icelander. i didnt read the page but i looked at the comments, i going to read it now i has a project on iceland i should be doing. This information was very helpful with my report on Iceland. Thanks for the great information . I'll be stopping for 2 nights on my way to London in May. This article is great. It is really helping me with my finals project. What about the Helgustadir Mine -- The original source of Iceland Spar Crystals (Silfurburg). It should be your national mineral because of Silfurburg's world wide scientific importance? nature of light by many famous scientists.You should be selling at every gift shop. In 1975 the Helgustadir mine was declared a national monument by the Iceland Government. Iceland crystal = A must have.